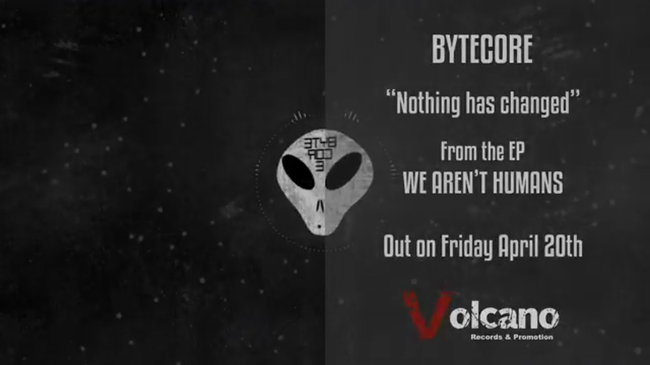 The first single of the Bytecore electronic trio entitled "Nothing has changed" is now online, the debut song that inaugurates the new EP "We are not humans", coming on 20 April for Volcano Records. "Nothing has changed" inaugurates a multifaceted and vital project that, thanks to a well-calibrated dosage, succeeds in not making us lose too much in the universe of ancestral loops. This debut piece of the Lucan trio draws a dragging vortex with dark contours, supported by a simple but virtuous sound that can easily involve non-fans of the genre. tagPlaceholderTag: Volcano Records & Promotion, New Ep, “Nothing has changed”, first single,, Bytecore, "We are not humans"